Well, let me explain. I tried to select a part of a text on a PDF file to copy and paste. I noticed that accented letters disappear when selected, as the image below shows. The PDF viewer is evince 3.2.1. 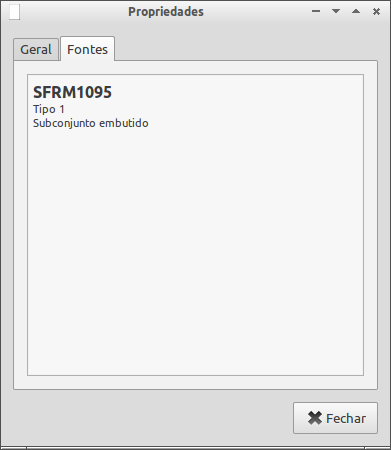 Then I decided to check PDF properties again and here is the surprising fact: the embedded font is another font! Why?? Assuming, to begin with, that you don't want bitmap fonts embedded in the PDF, here are some facts about the problem. I'll deal with pdfLaTeX, for XeLaTeX or LuaLaTeX with fontspec it's a different matter. With the default OT1 encoding, accents are realized by combining two characters, which makes impossible doing "copy-paste". The font must be available in .pfb (or .pfa) format. In order to do "copy-paste" from the PDF, the font should also have a correct correspondence between the glyphs and their names. The first column is the TeX font name, the second is the PostScript name found in the loaded file, which is cmr10.pfb. Note that when using 11pt type you really are using the scaled 10 point font. which is more complex than the other one. The sfrm1095.pfb font file indeed contains a huge number of glyphs: it is used also for the TS1, T2A, T2B, T2C and X2 encodings (text companion and Cyrillic fonts). Thus only a part of it must be picked up, which is done by the ReEncodeFont instruction. These Type1 counterparts for the European Modern fonts are provided by the so-called CM-Super fonts, that are not included in minimal distributions. So if you want that people can compile the same TeX document with the same result, ensure they have the (meta)package from their TeX distribution. In the lm-rm.enc file also glyphs in the "upper half" of the font table are defined, but the correspondence is only similar to the Latin-1 encoding. You'd get the same by uncommenting only the fontenc line. Not the answer you're looking for? Browse other questions tagged fonts accents font-encodings or ask your own question. 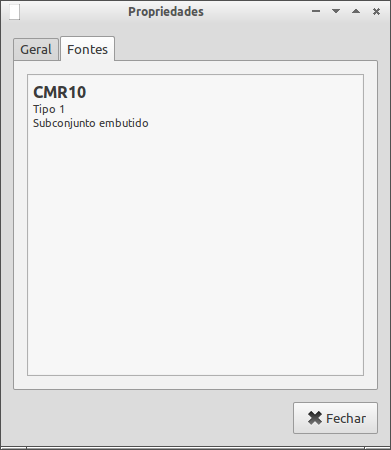 How to use fonts that need different fontenc together? Input Encoding bugged on Windows 7 WinEdt?